“Tell my story,” commands a man working in a dusty industrial facility. The place is dingy. Pipes, tubes, and porous drainage surround the worker who appeared like a “Ghost of Christmas Past” to a friend. Break out some of that tinkling "Twilight Zone," "Outer Limits," or "X Files" styled theme music. Board a time machine to the early 1950s. Focus on a large industrial facility in Huntington , WV, resting next to the Guyandotte River. Zoom on a shabby five story building. Machine gun toting guards encompass the location within the plant’s other structures. They check for security clearances as employees enter. Cylinders can be seen outside near a railroad siding. Do some items glow green in the dark? You're looking at the former Huntington Pilot Plant (also known as the Reduction Pilot Plant) where nuclear materials were both produced and processed for atomic weapons facilities in Oak Ridge, Tennessee, Paducah, Kentucky, and Piketon, Ohio. Unlike urban legends, the presence of this Huntington, WV, facility is confirmed in federal and state documents, even the Wall Street Journal has its scope on its USA “Waste Land” site. When constructed in 1951, the HPP's existence was classified. Its existence placed Huntington on Russia’s Top Ten USA target list. However, many aspects of the former facility are no longer classified. The Department of Energy upon a Freedom of Information Act request additional documentation concerning the plant, its uses, it demolition and burial. 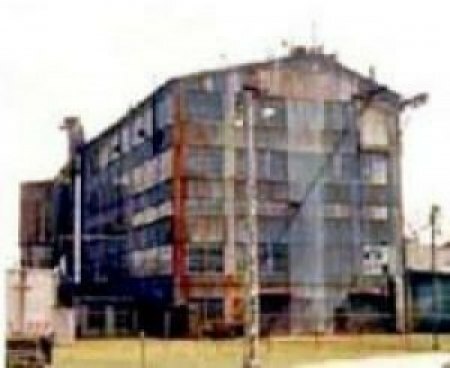 Classified contaminated nickel, nickel carbonyl and Uranium 235 were present at the site prior to the decision to raze the structure. Federal websites (and others) confirm nuclear barrier and processing materials, such as Uranium 235, and other radioactive by products, such as Plutonium 238, came from “recycling” of spent fuel materials from diffusion plants. The facility supplied nickel powder for use in the gaseous diffusion plants at Paducah, Kentucky and Portsmouth, Ohio. (and others). The level of enriched uranium present continues to be disputed. Federal documents state 4%; former workers have stated 97%. A failure to “purge product cones with inert gas after dropping … resulted in several hours delay in recovery of product and also caused considerable anxiety in determining the seriousness of the CO4 leakage. The diary does not contain results of these actions. FOIA inquiries regarding the aforementioned dates have not produced a result. Under 1970s Nuclear Regulatory Commission (NRC) guidelines for “special circumstances” of nuclear fuel cycle decommissioning, “the razing of buildings, transfer of premises to another organization continuing to work with radioactive materials. Following a January 15-16, 1975 radiation survey and security inspection by the Atomic Energy Commission (AEC) , “the presence or potential presence of nickel carbonyl and the presence or potential presence of classified (nuclear) starting materials” determined that portions of the plant qualified for disposal in a classified landfill at the Portsmouth Gaseous Diffusion Plant, the 1970s documents state. "The process equipment and piping were unsuitable for conventional disposal," a November 14, 1979 HPP Clearance Report stated. "The residue unloading system and the building walls, floors and structural members surrounding it were slightly contaminated and contained classified starting material. The CO holding tanks were slightly contaminated and were all scheduled for burial at Portsmouth." Demolition started November 27, 1978 and was finished May 18, 1979. Debris was color coded --- red indicated carbonyl contamination, white indicated uranium contamination. The red and white materials included classified items. Clean scrap was placed south of the compressor Building outside the fence. 59 truck and four railcar loads of scrap were transported to the Portsmouth Plant. 138 truck loads of “clean” scrap were removed by Cleveland Wrecking. 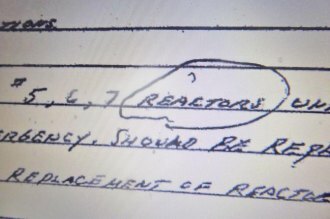 Despite “hot spots,” Richard D. Smith, Department of Energy health Oak Ridge Division physicist Health Protection Branch , certified that as of May 15, 1979, "the site radiation level" for Uranium 235, Uranium 238 and Radon qualified the property to be "released for unrestricted use." "Hot spots" were found in the change and shower areas with "elevated gamma level" readings. The loading pad had been a prior hot spot for "elevated radionuclide concentrations." Describing a northern portion containing a concrete pad, the report states that subsurface testing there was "unnecessary" due to "the presence of coarse gravel" and "subsurface concrete pads." Based on the 1980 survey, control soil samples from near the Ohio River flood plain (1.5 miles from the plant) were substantially higher for nickel than on-site samples, the documents state. This suggests that "general nickel contamination of surface soil may exist throughout this area as a result of past International Nickel Operations." Newer tests have not been located. The Radiation Contamination Clearance Report prepared by Oak Ridge Operations or the DOE on April 4, 1980 concluded that "the only uranium introduced into the plant was in the form of contamination contained on the surface of recycled barrier materials." The report stated that primarily uranium "ash" was extracted from the Huntington facility "at the bottom of the reactor and was vacuum transferred to the residue system." Ash was "drummed and shipped to Oak Ridge . No material was disposed onsite. The unrestricted release of the former HPP property was contemplated in 1980. , An unrestricted use letter would not be received by the City of Huntington until 1994. However, the 2014 DOL Site Matrix Report for HPP indicates that the following chemicals were present at the plant: Neptunium, Nickel, Plutonium, Protactinium, Technetium, Thorium and Uranium. Jeopardizing decisions made in the 70s and 80s that relate to “contaminated” and “not contaminated,” Congress in 1990 approved The Energy Employees Occupational Illness Compensation Program Act (EEOICPA). Signed into law by President George W. Bush, these so-called “Cold War Veterans” served at nuclear weapons production and testing facilities. Their work involved unique dangers and workers could be harmed by exposure to even small amounts of radiation or beryllium. Cold War nuclear weapons workers at Department of Energy (DOE) sites had been put at risk without their knowledge or consent. Previously secret records documented unmonitored exposures to radiation, beryllium, and toxic chemicals. Studies also show that 98% of radiation induced cancers in nuclear workers occurred at radiation levels less than the existing maximum “safe” levels. To date, a Department of Labor Office of Worker Compensation Program website indicated that $6.28 million has been paid for medical bills and compensation for workers at the former Huntington facility . Over 1,100 applications have been filed; 53 claims have been paid, as of June 8, 2014. 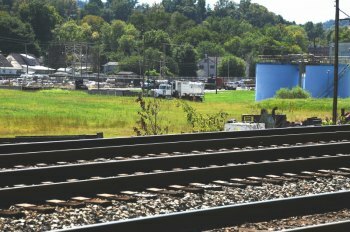 No one has addressed the impact of the HPP on the Guyandotte and Huntington communities. His case has been referred to the Alliance of Nuclear Workers Advocacy Groups . Do you have a story? We’ll listen , print and relay. Don’t delay. The water you drink could contain some of this “stuff,” too, or, the place where you labor.